Why Does LED Technology Require Conformal Coating? ENERGY STAR, The United States Environmental Protection Agency program that provides certification to buildings and consumer products which meet certain standards of energy efficiency, defines what a LED light is. LEDs, or light-emitting diodes, are semiconductor devices that produce visible light when an electrical current passed through them. LEDs are a type of Solid State Lighting (SSL), as are organic light–emitting diodes (OLEDs) and light–emitting polymers (LEPs). Also states: Thermal management is probably the single most important factor in the successful performance of a LED product over its lifetime because the higher the temperature at which the LEDs are operated, the more quickly the light will degrade, and the shorter the useful life will be. 1st LED discovered in 1961 at Texas Instruments, an accidental find when trying to develop a GaAs laser, the laser project failed. LEDs create light by electroluminescence in a semiconductor material e.g. GaAs or Ge. Current flows in one direction as the device is a diode (p-n junction). Electron holes in negatively charged atoms are filled when a current is passed through the material. The result is an emission of photons (light). These are the reasons why LEDs became so popular. World energy consumption to increase by 56% by 2040. LED lighting cuts energy usage by about 85%. LEDs can save more energy that solar can produce. Life time up to 100,000 hours, over 11 years. Rapid return on investment, e.g. street lighting. LEDs generally fail due to ingress of corrosive gasses through the lens or failure in the thermal management on the back side of the LED. Why Conformal Coatings Should Be Applied to LEDs? Automotive lighting and street lighting - where SO2 is present in the atmosphere. SO2 penetrates the silicone lens and corrodes the LED chip causing failure. Visual displays – outdoor displays are exposed to high humidity and possibly SO2. The failure modes are again through the lens but also on the driver electronics. Probably one application proving the capability of conformal coatings is the protection of HD LED displays in swimming pools. High chlorine content atmosphere is very corrosive. The application of acrylic or UV coating designed for application over the LED provides long term protection and therefore long term reliability. 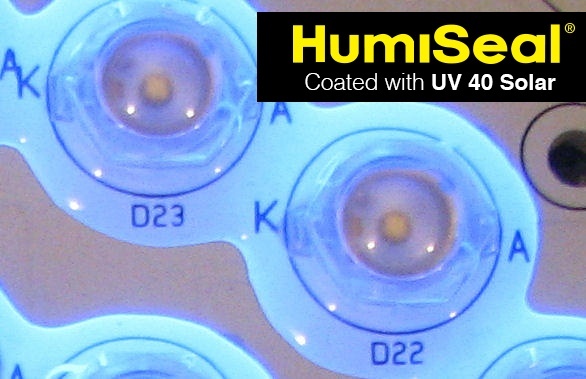 In addition to conformal coating, LED units can also be fully encapsulated in optically clear encapsulants. For both types of protection, it is key to use non-yellowing materials. Some materials discolor with time, temperature and exposure to sunlight. Thermal issues – Removal of heat from high power LEDs is essential and this can be performed with thermally conductive encapsulants or thermal pads. LEDs running at the correct temperature will also be more reliable over time. UV stable, QUV tested, no darkening over time. Moisture and selective chemical protection. Low effect on light transmission. Lens compatibility, chemical & wetting. Encapsulation generally used when Ingress Protection (IP) is required. Thermally conductive for heat control. 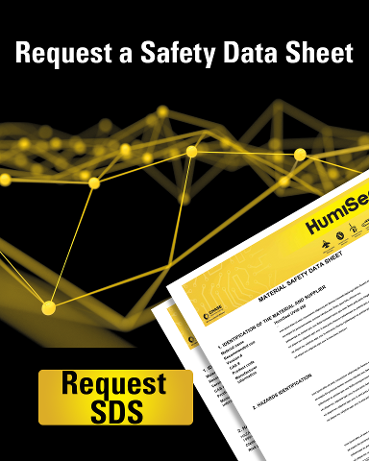 Protection from moisture and corrosive environments. 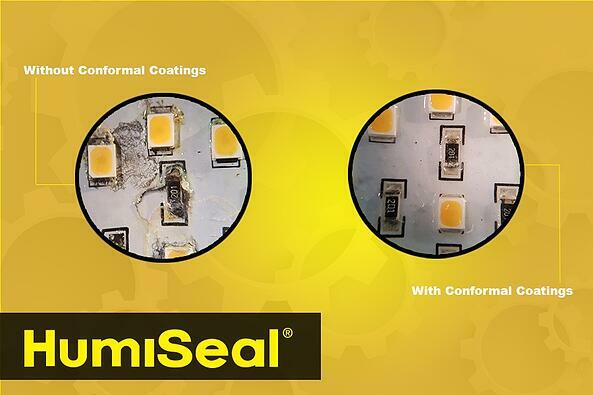 The use of the correct conformal coating and LED encapsulants will significantly improve LED reliability. 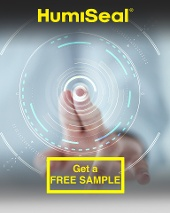 Contact HumiSeal if you have any question.